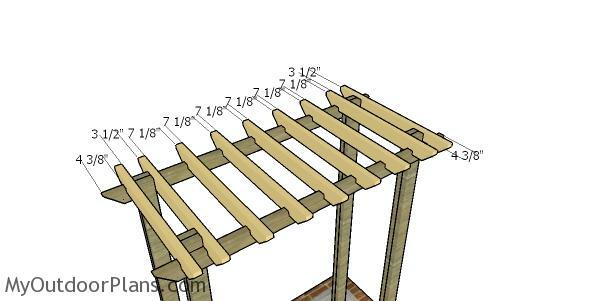 This step by step diy woodworking project is about 2×4 garden arbor plans. 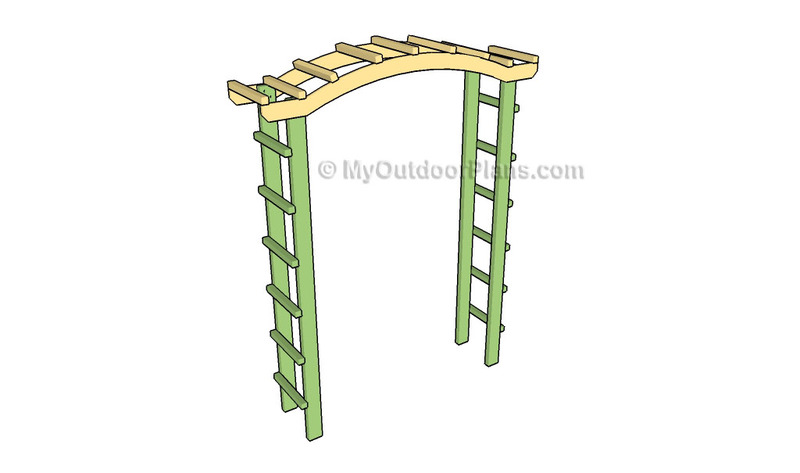 I have designed this simple arbor so you can build one in one day, using just 2×4 boards and screws. You can adjust the design for the arbor to suit your needs. Make sure you take your time before making the cuts, for a professional result. See my other woodworking plans HERE. 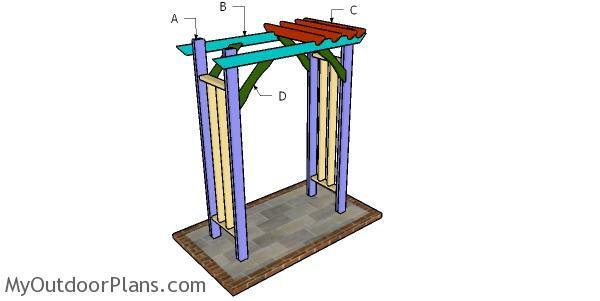 It’s that simple to build a garden arbor! Make sure you follow me on Facebook to be the first that gets my latest plans and for some other exclusive content. Also, follow me on Pinterest to get many ideas for your backyard from all the internet! See how you can Support Me with no extra costs to you. You can find sneak peeks of my future projects on Instagram! 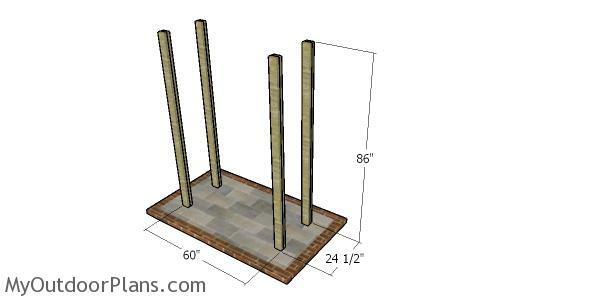 The first step of the project is to build the posts from two pieces if 2×4 lumber. 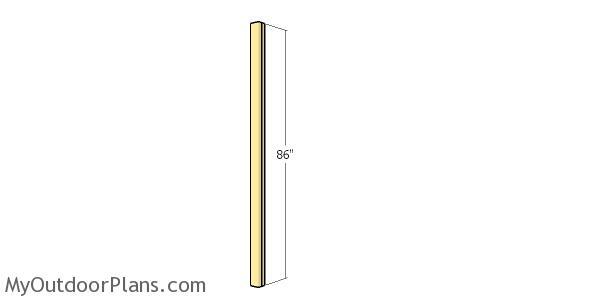 Cut the boards at 86″ and then glue them together. Align the edges with and clamp them together. You can also drive in a few 2 1/2″ screws to reinforce the bond. You can secure the 4 posts to the ground using brackets. 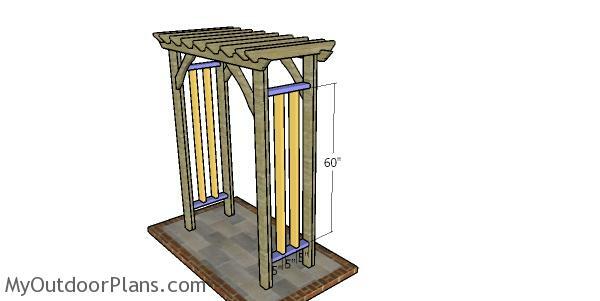 You can attach the arbor to a concrete slab or you can pour 2′ deep concrete footings. Alternatively, you can leave it as it is, if you want to move it from one location to another. 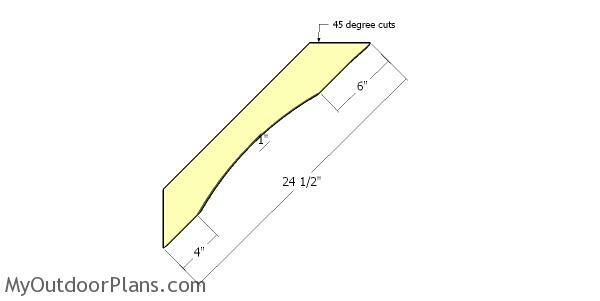 Use a saw to make angle cuts to both ends of the beams. Smooth the edges with sandpaper. The next step of the outdoor project is to attach the 2×4 supports to the top of the legs. 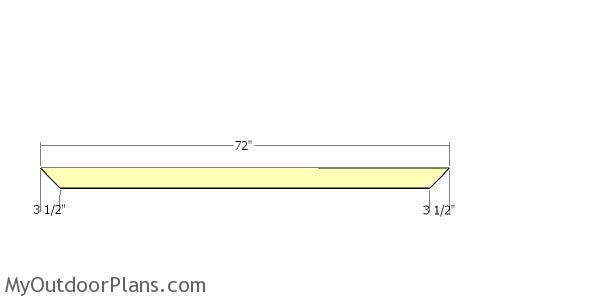 Center the beam into place and use a spirit level to check if the beam is perfectly horizontal. Plumb the posts and then clamp the beam into place tightly. Drill pilot holes through the beam and insert 2 1/2″ screws into the posts. Fit the rafters to the support beams, equally spaced. Drill pilot holes and insert 2 1/2″ screws, at angle, to secure the rafters into place tightly. 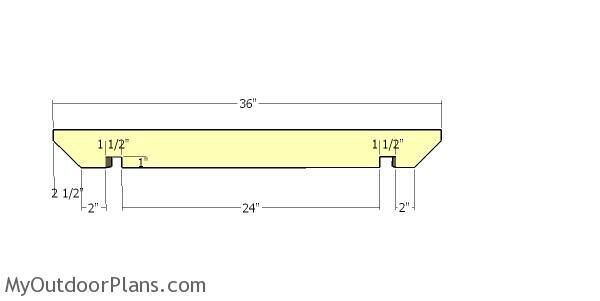 Cut a wood block at 7 1/8″ to create even gaps between the rafters. Use 2×4 lumber for the braces, as well. Mark the cut lines on the braces and then get the job done with a jigsaw. Smooth the edges with sandpaper. 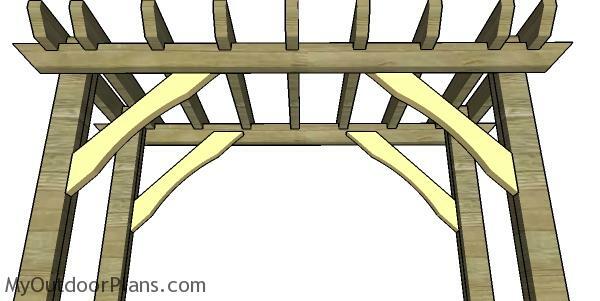 Fit the braces to the arbor, as shown in the plans. Drill pilot holes and insert 2 1/2″ screws to secure them to the frame. 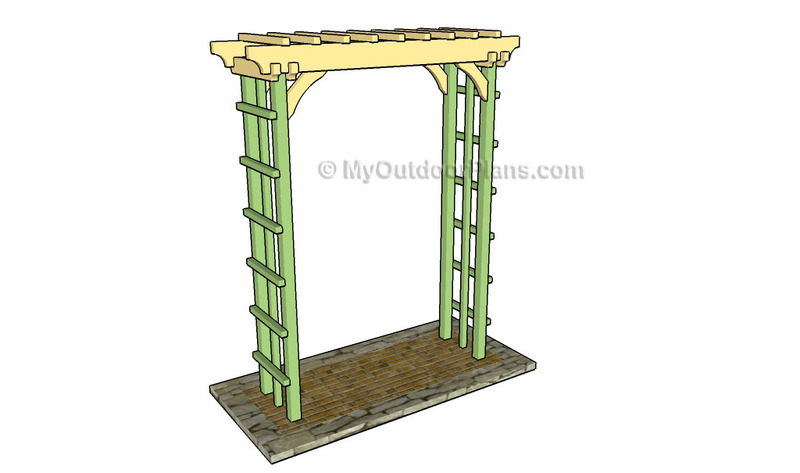 Next, attach the supports to the sides of the garden arbor. Drill pocket holes at both ends of the supports and then lock them into place with 2 1/2″ screws. Make sure the corners are square and align the edges flush. 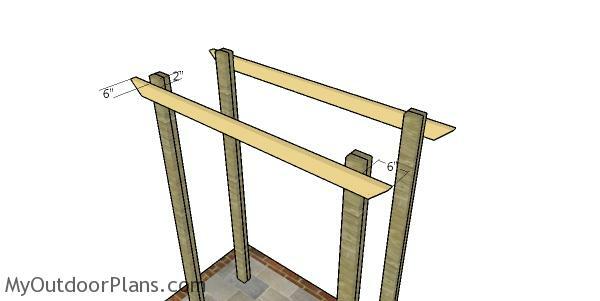 Fit the 2×4 slats to the sides of the arbor. Place the slats equally spaced and align them at both ends. Drill pilot holes through the supports and insert 2 1/2″ screws into the vertical slats. 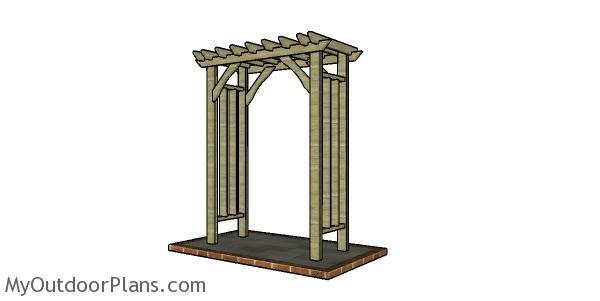 Last but not least, you need to take care of the finishing touches for this garden arbor. Fill the holes with wood putty and then smooth the surface with 120-220 grit sandpaper. Apply a few coats of paint or stain to enhance the look of the plant stand and to protect the components from the elements. 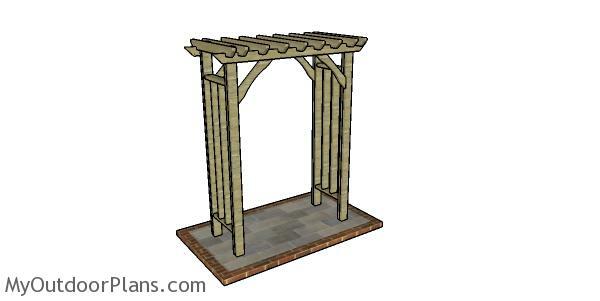 You can adjust the size of the garden arbor to suit your needs. In addition, you can add more shelves to the stand so you can host more plants. Top Tip: Moreover, if you are in need for more project ideas, you should check the complete list of my woodworking projects HERE. 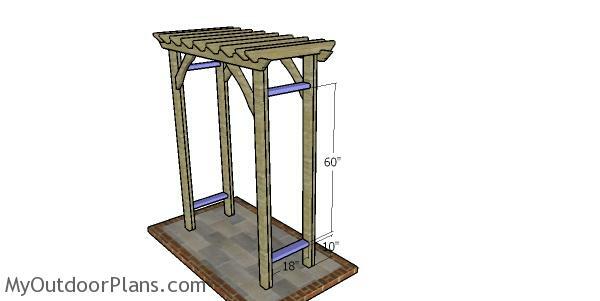 This woodworking project was about 2×4 garden arbor plans. If you want to see more outdoor plans, we recommend you to check out the rest of our step by step projects. LIKE us on Facebook and Google + to be the first that gets out latest projects.